Kits do not include wheels, motor or gears. I have designed all locomotive kits to use Slater’s wheels and Mashima 1833 motor and 40/1 gears. These are readily available and the most economic option. I have found that this combination is the most suitable for a moderately sized indoor layout. 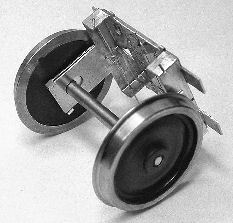 A number of customers have successfully used alternative wheels and motors in the kits. 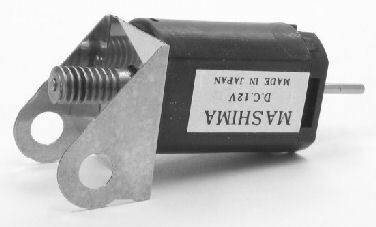 An etched motor mounting plate is included as part of the chassis design. This mounts the motor at the correct distance for gear mesh etc. 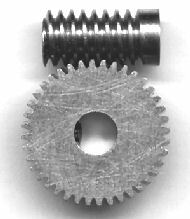 I have had produced for me a quality cut 40/1 gear set, comprising a stainless steel worm with grub screw fixing and wide brass gearwheel also with grub screw fixing. I can supply these with a Mashima 1833 motor. I have had these brass castings produced for me at the request of a number of customers who prefer to replace some of the whitemetal castings included in the kits with brass ones. 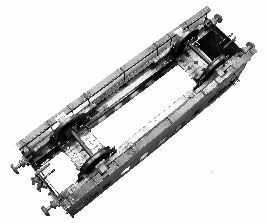 For example the whitemetal buffer beam pipework included with the kits is adequate for normal use and I fit them onto all my own models but if your locos are to receive very rough handling on say the club layout the extra expense of the brass pipework may be justified. 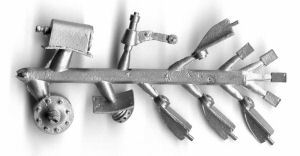 The castings may also be just what you are looking for to complete an upgrading or scratch building project. 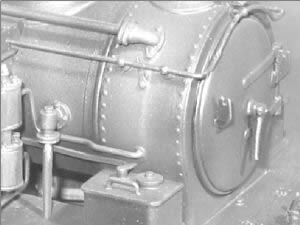 This gear was used on a number of LNER locomotives such as G5, N7 & F5. 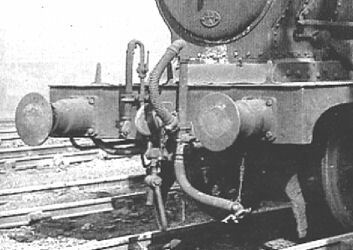 Similar gear was also used on some LMS locomotives such as the Jinty tanks. 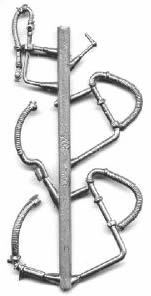 Included with the set of castings are soft wire for pipe work and links. 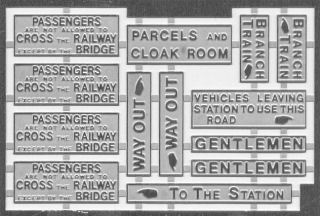 Instructions contain information to identify parts and their position on a typical locomotive. Pack contains 4 X Ejector Pipe Elbows, 8 X Clack Valve Tops and straight copper rod for clack pipes. 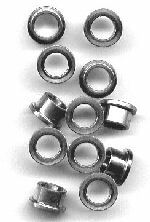 Phosphor Bronze is considered to be a Rolls Royce material for bearing bushes. It is hard wearing and has good oil retention properties. The bearing has a quality machined 3/16" clearance hole for a standard 0 gauge loco axle. 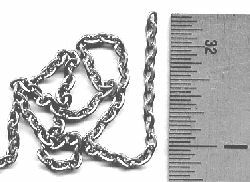 12 links to the inch chain, ideal for securing wagon loads etc. This copper coated steel chain can be easily weathered using Birchwood Casey gun blue. Pack containes 36" (1 yard) chain. 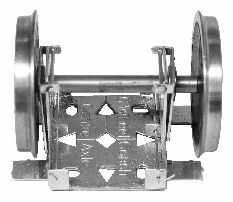 A universal unit to provide sprung inside bearings for Slater's type wheels on four wheeled coaches and vans. The kits axleguards are then used as cosmetic fittings. This also makes fitting to a built model easier. 2 X Units (enough for one coach) in each pack. 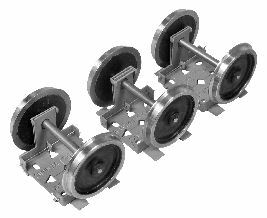 A set of three suspension units. Two standards and a narrow one providing generous sideplay for the centre wheel.